Four County Career Center in Archbold has selected Pettisville High School student Matthew Christiansen as Student of the Month. The son of Glenn and Toni Christiansen, Matthew is a junior in the FCCC IT Academy - Computer Programming and Game Design program. He was nominated by his instructor, Matt Geiger. Matthew is a member of Business Professionals of America, and is on the FCCC honor roll. After high school he plans to attend Northwest State Community College and major in game design. As Student of the Month, he will receive a certificate of recognition. Four County Career Center in Archbold has selected Pettisville High School student Matthew Christiansen as Student of the Month. The son of Glenn and Toni Christiansen, Matthew is a junior in the FCCC IT Academy – Computer Programming and Game Design program. He was nominated by his instructor, Matt Geiger. Matthew is a member of Business Professionals of America, and is on the FCCC honor roll. After high school he plans to attend Northwest State Community College and major in game design. As Student of the Month, he will receive a certificate of recognition. 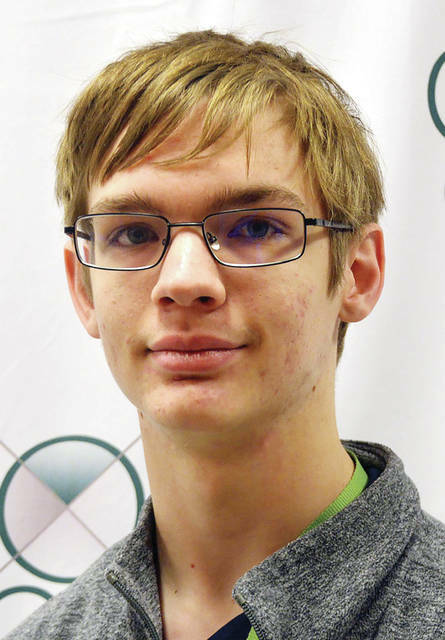 https://www.fcnews.org/wp-content/uploads/sites/45/2019/01/web1_Christiansen-Matthew.jpgFour County Career Center in Archbold has selected Pettisville High School student Matthew Christiansen as Student of the Month. The son of Glenn and Toni Christiansen, Matthew is a junior in the FCCC IT Academy – Computer Programming and Game Design program. He was nominated by his instructor, Matt Geiger. Matthew is a member of Business Professionals of America, and is on the FCCC honor roll. After high school he plans to attend Northwest State Community College and major in game design. As Student of the Month, he will receive a certificate of recognition.